Time flies and it is almost 5 months since I started my "virgin" blog post on 1 Mar this year. I enjoyed every moments of blogging since, and somehow it already becomes a part of my life. One single biggest joy is the satisfaction received when your blog is being read by readers all over the world. The feeling is even better, when you received compliments and comments from readers. This definitely motivates, and I really hope to produce more quality articles as time passes. Then again, it does not mean that negative feedbacks or criticisms are not welcome, as I aim to improve myself continuously. For now, I am extremely grateful and appreciative to all my readers. 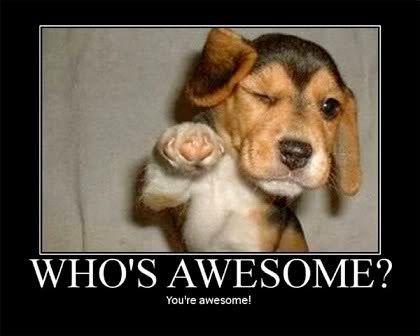 Even bigger applause, for those who dropped me a note, or commented on my articles before. Surpassed 20,000 views in less than 5 months! 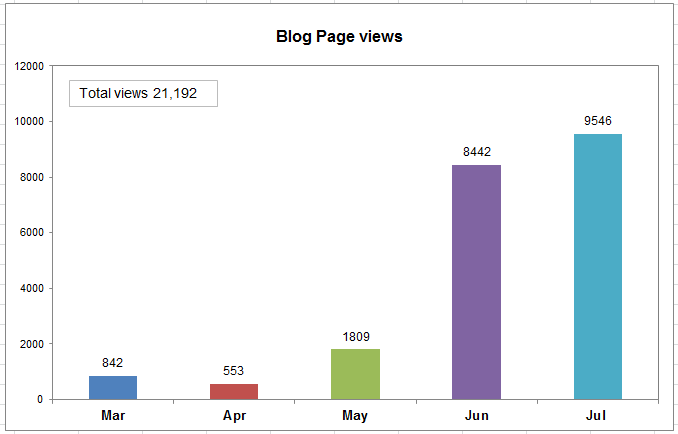 My blog views in the last two months have been absolutely fantastic for my standard – Average of close to 300 each day. This is impossible without the help of “Singapore Investment Bloggers”, to include Rolf Suey blog into this wonderful platform that provides an updated listing of all Investment Bloggers based in Singapore. I am also appreciative to other bloggers who include Rolf Suey in their blogrolls such as B from 3Fs, AK from ASSI and Singapore Stock Market News. Thank you so much! For now, I do not have too many blog exchanges, but I definitely welcome more blog exchanges from other bloggers, going forward. Start contacting me! I must confess that blogging can be one of the most arduous tasks around. Blogging requires lots of time and effort and often entail hours of research, writing, edit and re-editing. During many occasions, I can even exhaust almost days for detail and informative posts write-up! For my novice standard, I humbly feel that the pre-requisite of writing a blog post, involves lots of reading from many sources to ensure the information published is as accurate as possible. Then I need to re-read the articles over and over again to extract only the most important and relevant information. The bits and pieces information will then need to be summarized to make it "comprehensive and yet not over lengthy!" - I know I tend to be longwinded, because I am worry that the readers may miss out important information. Many of my posts will also include the final icing of Rolf's view. However Rolf’s views can be biased at times, so please bear with me and do not take it too seriously if you disagree. The intention is always, “to be positive and constructive in the spirit of sharing good information”. There are few reasons why I started the Rolf Suey blog. One reason is to “escape” my comfort zone arising from a routine mid-career crisis. Besides, I also realise the importance of promoting financial literacy and it makes me wonder why so little of financial knowledge is emphasized in our society today. This is when retirement seems so remotely far in Singapore today. Aside from “money” matters, this blog also advocates personal developments and share interesting investment news and knowledges. In particular, I am most interested in the Oil and Gas sector, of which I aim to share with my readers information to my best of knowledge. Finally Rolf Suey blog will be a library for my reader, me and most importantly, my children when they grow up. I sincerely hope all of us can truly find the “Real You - Mojo!” one day, and live life to the fullest happily. 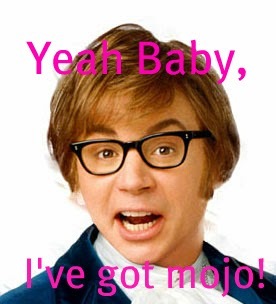 For those who already found the "Mojo", kudos to you! For those still finding, keep searching and do not give up! And for those who do not even bother to find, hope you can start soon, and its better late than never! I shall end my post with a Big Thank You to all my readers, once again - From the always “long-winded” Rolf Suey. The best thing about blogging is as you said the ability to contribute to the learning of others as well as our own learning. Way to go!!! You did well. I enjoy your blog a lot, and it is easy to spot the strong "substance" just by reading a few posts. 4 years is a long time and it probably require sustained passion to persist. I definitely hope to follow suit. Indeed, Blogging is about learning, which I was not entirely aware before I started blogging. I enjoy learning new things and blogging is something that keep the brain younger despite age going up. Thanks for the compliments anyway and lets continue to persist what we love. Also as online records for future references. Cannot bluff one. LOL! Thanks for the articles. Keep it up! Thanks for the compliment. I hope to improve my writing skills over time so that I can continue contribute more meaningful articles in my best ability.